From the brand everyone is talking about RN. It's taken the beauty world by storm for its free-from, therapeutic formulas (not to mention its highly-Instagrammable packaging) so I was *delighted* when I managed to snag this much talked-about oil in the GLAMOUR Beauty Power List goodie bag. Firstly, it's blue, which automatically had me hooked. The Insta-friendly hue is courtesy of blue tansy, which is high in Azulene - a deep, inky-blue colour naturally. Azulene helps to soothe dry irritated skin, reduce appearance of redness, pores, acne scars and balance oily skin. 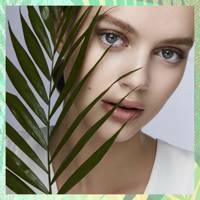 Whilst using oil on oily skin might seem counter-intuitive, the brains behind the brand say that we often don't wash our skin thoroughly so it overcompensates by producing more oil and sebum leading to oilier skin and clogged pores and who wants that? Not me. My skin is a hot mess right now courtesy of too little sleep and too many late night trips to McDonalds. Dull, dehydrated and ridden with giant under-the-skin spots, it's in serious need of some TLC so I put all my hopes into this oil. 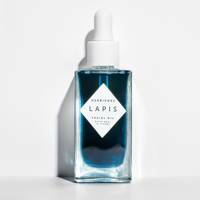 Firstly, the blue hue of this oil is totally novel; it's like a magical potion for your skin. In fact, it turned out to be just that. The instructions advise applying 3–10 drops to cleansed and toned skin morning and night. I applied five drops and massaged it into my skin, allowed it to absorb for a few minutes and then used my jade roller (god, I'm a cliche), to massage it in even further. 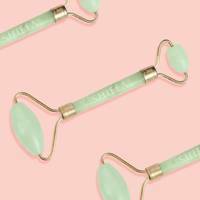 If you're not aware of a jade roller's benefits, makers of the aesthetically-pleasing device say it helps contour the facial muscles while reducing fine lines and wrinkles, all while toning and improving elasticity, too. The nifty little roller also works to reduce puffiness around the eyes, soothe the nervous system, absorb negative energy, even skin tone and tighten pores. Reviews I'd read online reported that the oil didn't sink in easily, which I'd agree with. Despite massaging it in for a good five minutes, my skin was still pretty greasy, which was totally fine for evening application but I wouldn't want to then apply my makeup over the top. 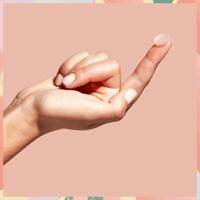 In contrast to traditional cream moisturisers and lotions, which tend to be high in water and emulsifying agents but low in effective ingredients, Herbivore's oils contain no fillers and are formulated with totally natural ingredients. 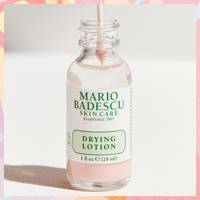 My skin reacts to literally anything so I was a little nervous of what it would look like come morning but I woke up with fresh, plump, dewy skin and the two under-the-skin spots that had refused to budge for the last few weeks were totally dried out. Three days into using it and the spots have completely vanished. I am officially hooked. Not a night has gone by that I haven't used this oil on my face. 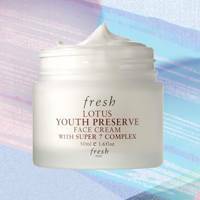 My skin is smoother than ever and it's helping keep my adult acne at bay better than other acne treatments I've tried. I wasn't lying when I said it was like a magical potion. Предлагаем вам со скидкой ковролин для дома купить киев недорого с доставкой.